We are a sixth form college that prides itself in offering specialist support services tailored to 16-19 year olds. We have a dedicated Welfare & Inclusion Centre to support you and your learning. The Welfare & Inclusion manager. Students are invited to come in to discuss and receive support and advice on a range of personal and youth related matters, for example: emotional health, money, relationships, sexual health. Every student has been allocated a Personal Mentor who they can approach at any point for support. The name can be found on Student Dashboard. 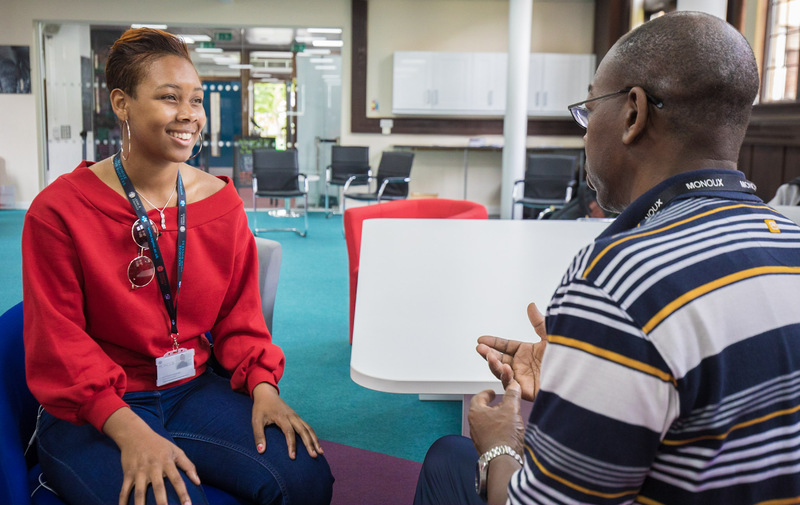 Students are also able to access a member of the Welfare team in the Welfare & Inclusion Centre if they have concerns for their personal safety and/or the safety of others. If you would like to have a discussion about individual requirements, please email the Welfare and Inclusion manager at dayne.matthieu@sgmc.ac.uk, or alternatively contact by phone on 020 8523 3544 extension 3481. Student Vulnerability: This means that the student is in care, leaving care, living independently, a young parent or is disabled and currently receive Employment Support allowance/Universal Credit and Disability Living Allowance or Employment Support Allowance/Universal Credit and Personal Independent Payments. Bursary criteria: Total Household Income under £20,000 This includes whatever income your family receives (salary, pensions, benefits and/or tax credits) on an annual basis. Attendance criteria: Student’s will be expected to maintain attendance of 90% or above so that any point in the term when attendance is checked they will be able to receive financial support. It is the responsibility of all students to regularly check dashboard to ensure that the attendance is correct. If the student does not have a bank account in his/her own name this will need to be done as soon as possible. Bursary payments will not be made into another person’s account. A decision can only be made on an application once all of these documents are provided. If a student does not have a bank account in their own name they will need to do so as soon as possible. Please note: The financial support provided is subject to funding provision. For further information, please contact the college on 02085233544 and ask for the Bursary and Welfare Co-ordinator. If you are a student who is also a parent there is support for child care costs. You need to contact Care to Learn on 08001218989. (Payment of the Care to Learn fund is dependent on 100% attendance, completion of all work, punctuality and satisfactory effort.) Details will be provided to all students upon request. For further details log on to www.gov.uk/care-to-learn. Students can arrange an appointment with the Student Bursary and Welfare Coordinator to discuss their financial difficulties and based on this assessment they may be eligible to receive a lunch allowance, travel allowance and support with exam re-sits. If you need extra financial help in an emergency you can speak to a member of staff from the Student Support team. Deadline for the first term will be Friday 12th October. Any applications submitted after this date, will not be assessed until January 2019. 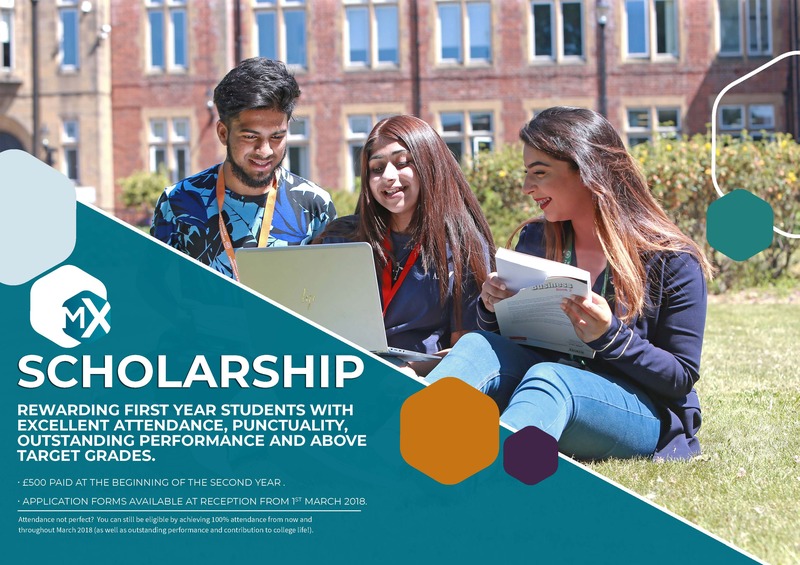 New students with outstanding attendance, punctuality and performance and who make an exemplary contribution to College life can apply for a £500 scholarship. Over the last couple of years more than 40 students have been awarded £500 each as part of the scheme. The Scholarship Scheme is funded through the money saved on energy bills by our solar panels on the roof of the Brockman Building.